6 letters Easter 2018 pictures description with four pics one word dunk, shopping, eggs, picnic. Happy Easter on March 2018 ! 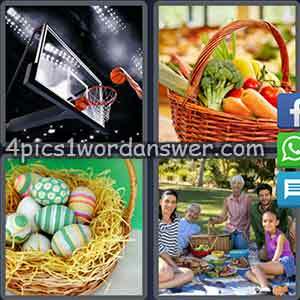 Find out which words the Easter bunny has hidden in 4 pics 1 word easter edition ! 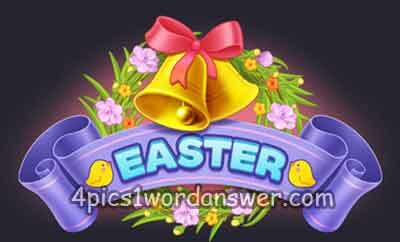 Solve daily puzzles every day on your very own Easter word hunt, earn more coins and collect all Easter badges from the 4 pics 1 word easter edition !